God I hate January. There is an explosion of self-righteousness across swathes of the media. All anyone can talk about is diets and giving up drinking. It makes you marvel at the genius of capitalism, first we’re sold over indulgence and then parsimony. Before you know it commercialised love is in the air and the worst day of the restaurant calendar looms onto the horizon. Valentines’ Day, when hopelessly out of love couples, eat hopelessly overpriced food while pressing their sweating palms together and quashing the uncomfortable feeling that they would rather be with the hottie on the next table. What annoys me most is that at times even the very best have been infected by the creeping January disease of restraint. A man I admire is Salvador Dali. However even dear old, mad old, crazy Dali had his New Year moment. It can only have been January when he concluded: ‘He who knows how to taste wine, does not drink wine but savours secrets.’ Sod Dali – the last thing I want to do in January is to stick my nose into a glass of wine and pontificate Parker style over the aromas of mown summer glass. I want to drink rather than taste, get roaringly drunk and over-indulge. Call it my own form of anti-capitalist protest. While the rest of the world is being sold diets I’m determined to stick two fingers up to big business and gobble food and gulp wine. It’s my personal form of champagne socialism. In my experience some places are more affected by Januaryism than others. Even in summer the po-faced residents of Aix en Provence can drain the vibrancy from the summer sun, but in January the café terraces are moribund. Instead of enjoying life the ever fickle Aixoise are back at home indulging the latest extreme diet fads which tend to sound mildly more enjoyable than having one’s digestive juices drained by a Dyson. Which brings me to Bandol. I just love the place. It’s like the port of eternal summer. 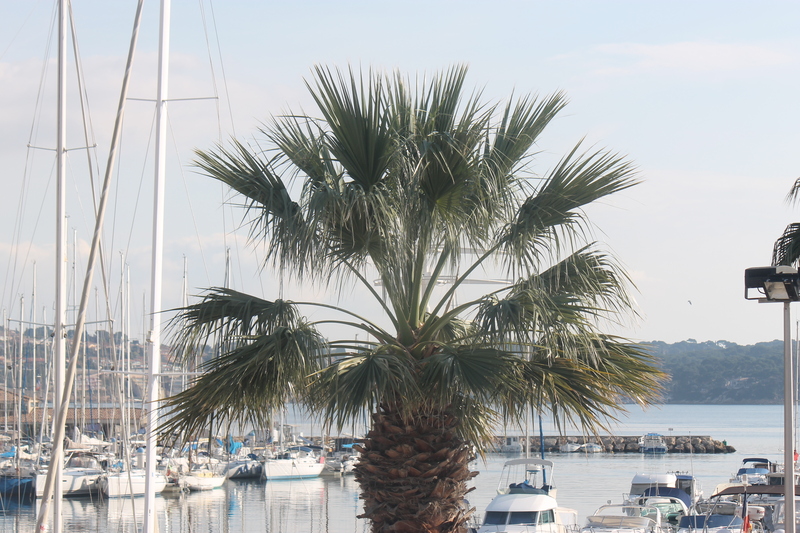 While St Trop and other fancy resorts are a winter wasteland of boarded up shops, Bandol just keeps on going, alive, and vibrant. Something about the place’s geography seems to keep the clouds away, as if God is determined to reward the eternal optimism of its inhabitants. On the January day I visited the municipal boule pitch was full, and the moped society of the cafés chuntering away. I chose to eat in my favourite restaurant L’Amiral right next to the Hotel de Ville, just down from the evocative crumbling facade of the church. Across the road the larger of the port’s yachts are moored and a single owner lent nonchalantly over the rails of one of the sleeker ships, puffing contentedly on a cigar. Next door to my table the last few market traders were packing up. Flowers and vegetables full of the colours of summer were stacked into the back of vans. The street cleaners moved in shouting ribald comments at each other, while above my head a rather large seagull waited for me to order. My New Year’s resolution is the same every year. In a way its a reaction to Januaryism. In restaurants I refuse to look at the starters’ side of the menu. All those delicate salads and lovingly prepared carpaccios are not for January. Dear reader, rest assured that this is not part of some effort to lose weight, quite the contrary. In January I always order myself two main courses. I find it lifts the soul. Much to the hungry seagulls pleasure I opted for a main/starter of moules frites in a curry sauce to be followed by fillet steak in a morilles sauce. The restaurant owner nodded approvingly, as if to say, at last, after a succession of salad-pushing, tap-water-drinking, January-weight-obsessed waifs, here was a customer who knew how to dine. To compliment my moule and steak I ordered a bottle of the local Pey Neuf rose. Good Bandol pink is truly a delight, light of colour but full in flavour. I held by glass to the sun saluting the cigar-puffing business baron on the nearby yacht. He raised his hand and waved. Somehow, in that moment, we were kindred spirits, people who knew how to enjoy life, and celebrate the New Year. Like many people I’m rather fond of moule by the seaside. It’s a visual dish. A huge steaming bowl of shells and a pile of golden chips. It’s also a great dish for anyone dining alone. There’s no hurrying your way through a bowl of moule. Each mouthful requires a little thought, the right moule has to be selected with the right amount of sauce. Then there are the pauses to dunk bread into the supporting broth, munch on a frite, and sip some wine. Rather like an average novel there’s a point midway through when I think I’ll never make the end. The size of the pile of empty shells matches the pile of full ones and my stomach constricts. In the Amiral I’d also made the unusual decision to dose my moule in a curry sauce that turned out to be the same vibrant yellow as one of those glowing Elho ski jackets that used to be so popular in the nineties. The flavour was mild and the mainstay of the base for the sauce was coconut milk. Whether it actually complimented the moules or not, I’m still not sure. Next time I’ll probably stick to the traditional parsley and white wine, particularly since that mid-moule moment, when finishing the bowl seems impossible, was more intimidating than usual. Perhaps, though, that was because I still had another main course to follow. I loosened my belt ahead of the filet aux morilles, gazed up at the blue sky and thanked god that I lived in the south of France. The temperature must have been nearly 15 degrees, the warmth of the sun generated an immense sense of well being. Boules clacked in the distance. The last market trader finished his post-work beer and departed.I realised I was already more than 3/4s of the way through my bottle of rosé. For a final indulgent twist to my January feast I ordered a glass of the heavy mourvedre tannin-rich local red. If the sauce that accompanied the moules had been a little disappointing, it was more than made up for the rich unctuous earthy one that cloaked the steak. Fortunately the meat was suitably well hung to stand-up to the flavour of the mushrooms. As for the red Bandol, sumptuous as it was, I gulped it back, and ordered another. Dessert was out of the question. Instead I took a walk by the sea. The good food, and fine wine made me feel quite light headed. ‘Take me I’m a drug, take me I’m a hallucinogenic,’ Dali once said. If not quite in Dali’s league, a good lunch by the sea in January can induce a wonderful high.